The Beijing government has proposed a new rule that would strictly limit the number of days per year that cars without Beijing-issued license plates could drive in the city, as reported by China Daily. The measure is the local government’s latest attempt to ease the capital’s traffic congestion and air pollution, but it’s seen as a heavy blow for car owners without Beijing plates who will have to watch the clock as well as the road. Proposed for late 2019, each non-Beijing- registered car owner will have to apply for a timed permit – valid for seven consecutive days – and will only be able to do so a maximum of 12 times over the course of one year. For the remaining 281 days, the vehicle must be parked in a residential parking lot. There are nearly 6 million cars registered in the capital, with around 700,000 not licensed by the city, according to the Beijing Commission of Transport. Back in 2010, the capital attempted to restrict car ownership through a license lottery system, after data collected by the city showed the number of cars had more than quadrupled between 1997 and 2010. Before drivers could purchase a vehicle in Beijing, they had to apply for a local license plate, which they had to wait to receive through a random draw. By 2018, the chances of obtaining licenses in Beijing were the slimmest ever – exactly one in 2,013, according to Sixth Tone. Drivers have found ways around the lottery over the years, such as purchasing licenses in other cities and using them in the capital. Car retailers are also known for offering services that help people acquire non-Beijing licenses (often for lofty fees). 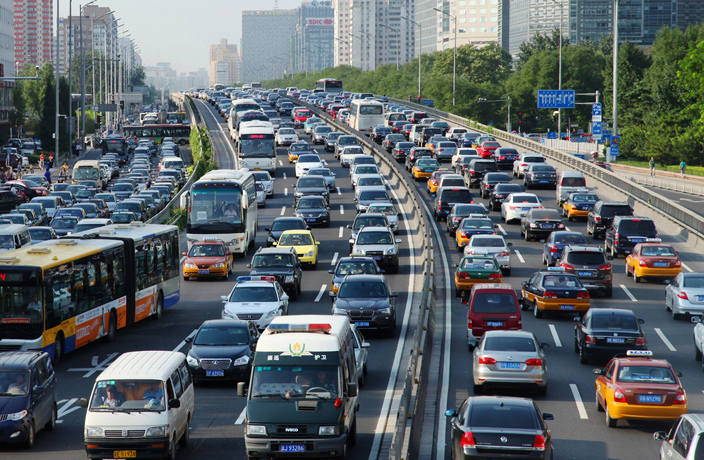 Beijing authorities hope the strict new policy will help return a bit of order to the roads – an idea that anybody who has had the displeasure of being stuck in Beijing traffic is likely to get behind. The first big wave of smog of the winter hit the capital this week. Eight Chinese cities made the top 100 list.